Dynafit is best known in the U.S. for its backcountry ski gear. But the company has amazing summer gear, too, including apparel, outerwear, and shoes. We met with Dynafit prior to the Outdoor Retailer trade show last week to test some of its spring 2015 gear. The preview event included trail running and climbing near Ogden, Utah. The most stand-out piece was the React jacket, which is the lightest of its kind on the market, Dynafit touts. It weighs just 78 grams. 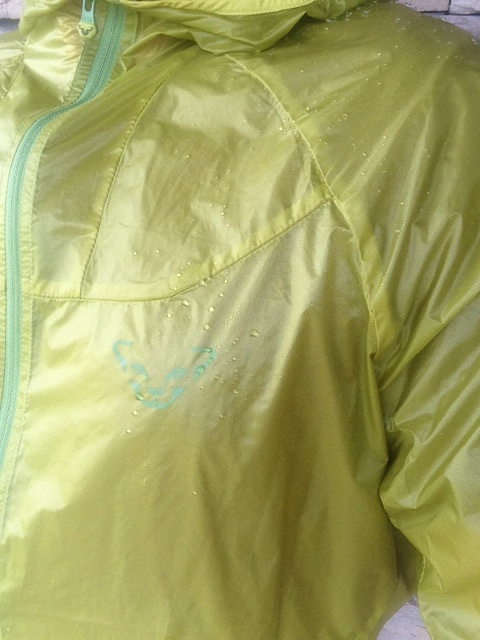 Made of ultra-thin polyamide with a DWR finish, the water-resistant jacket kept me dry during a 10-minute period of heavy rain in the mountains. The React comes in great colors, is ultralight, and the jacket wads up into a size less than a baseball. Why would you not have this in your pack at all times? $160 when it comes out next year. In Ogden, while climbing a via ferrata above town, we tested the to-be-released Traverse Pant ($149). I appreciated the breathability while climbing and sweating hard. Some of the pockets function as vents, which felt great, and the zip pockets were accessible even with a climbing harness on. The pants are made of Dynafit’s durastretch fabric, 80% polyamide (light rip-stop nylon) and 20% elastane (spandex), a thin and durable fabric that stretches when on the move. But the reason we want to put them in our quiver long-term is that the bottoms are the thinnest and lightest material we have seen in a durable, functional climbing pant. Finally, Dynafit’s shoes are getting better and better, and the BOA lacing system equipped X7 Feline ($149) are a top example. 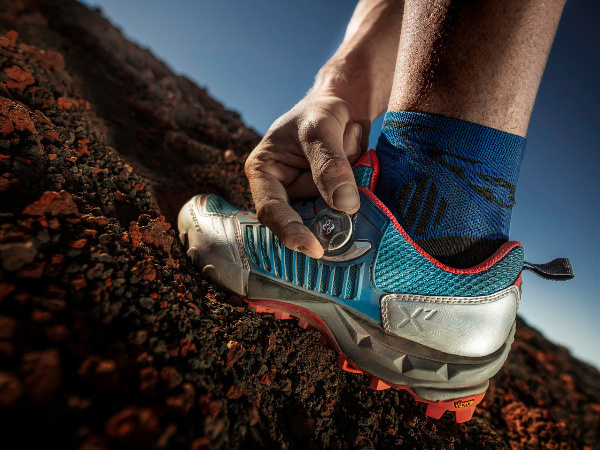 They weigh about 11 ounces and have a robust, durable build made for rigorous mountain trail running. They are medium in width, but sizing runs a bit on the small side on the shoes we wore. This could change when the shoes are full to market in 2015. Although they are not super lightweight, the Felines are a solid option for runners looking for a durable shoe that will protect from the harsh terrain found when running in the mountains. We saw the Feline shoes as a welcome break from the minimalist trend on test day. Our feet felt fresh even after an hour of pounding on a rocky and technical mountain trail.